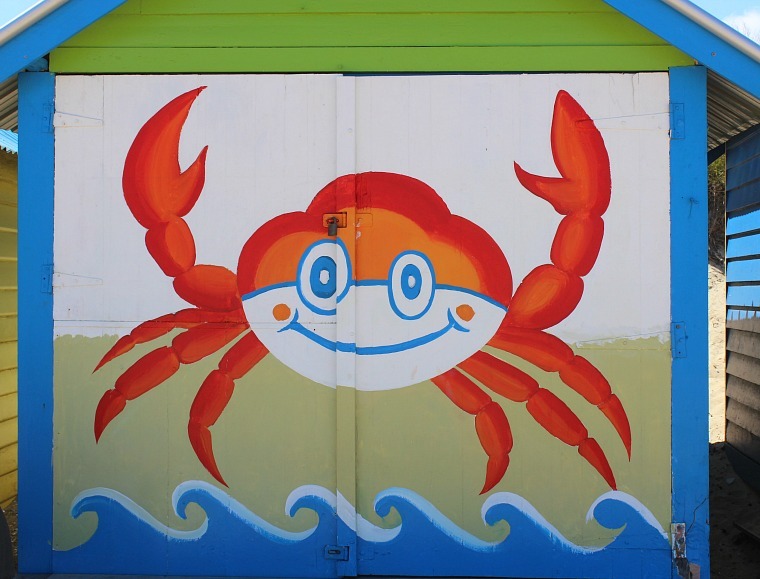 While Brighton Beach itself isn’t exactly postcard-worthy, it’s well worth a visit for one reason: the bathing houses. 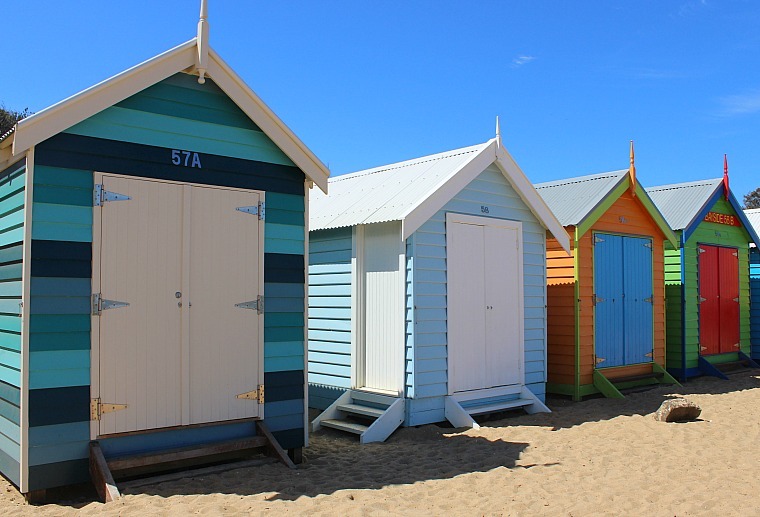 Brighton is a beach-side suburb of Melbourne, 11 km south-east of Melbourne's central business district. The 82 Brighton bathing boxes are unique because of their uniform scale, proportion and building materials for instance. They are individually owned and apparently worth a few hundred thousand each! It was so much fun to see all the different colors and designs. // Während Brighton Beach an sich nicht wirklich einen Postcard-Anblick bietet, lohnt es sich definitv für einen Grund ihn zu besichtigen: Die Badeboxen! 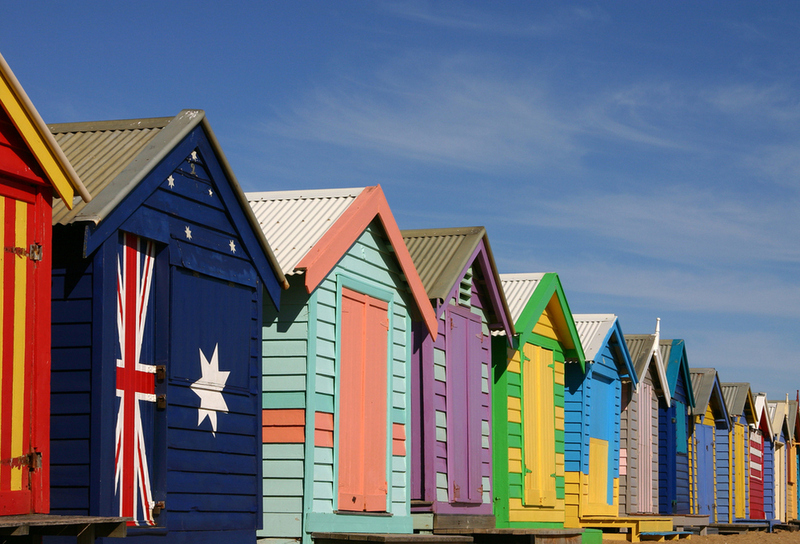 Brighton ist ein Strand-Vorort von Melbourne, 11 km Südost von Melbourne's zentralem Business Bezirk. Die 82 Badeboxen sind einzigartig durch beispielsweise ihre Maße, Proportionen und der eingesetzten Baumaterialien. Sie sind individuell im Besitz und haben einen Wert von mehreren hundertaussend Dollar pro Box! Es hat sehr viel Spaß gemacht die verschiedenen Farben und Designs zu entdecken. 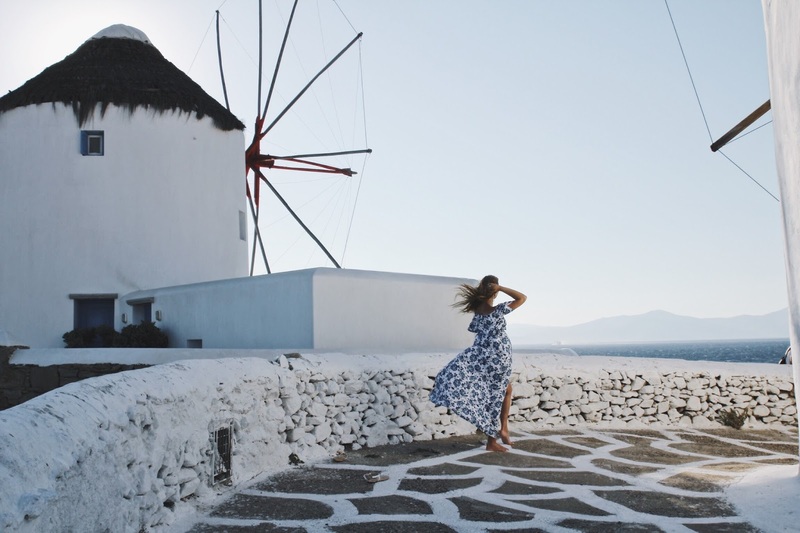 Those houses are so pretty and I love your outfit! thanks for sharing! Have a great day! Such a wonderful beach look and I love the colourful beach houses!